The Smith and Wesson Extreme OPS Folding Knife is great for fishing, hunting, camping, and emergencies. It has a 3.31” 7CR17 high carbon stainless steel blade with black coating. 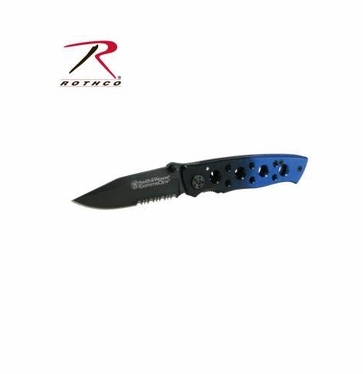 The aluminum handle is coated black and blue and comes with a liner lock, and pocket clip for easy transport.